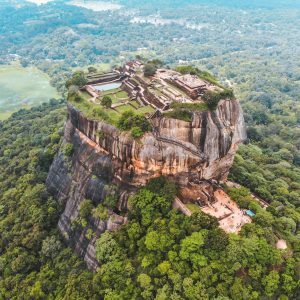 Sri Lanka is one of those epic up and coming travel destinations that has quickly grown in popularity in the last few years – the secret is finally out! I’ve already written about why you should travel to Sri Lanka and the best things to do in Sri Lanka but how about the best places to visit in Sri Lanka? Easily the most iconic spot in the whole country, Sigiriya is a rock fortress which dominates and otherwise flat landscape. With 1,200 steps to the top it offers incredible views of the surrounding forest as well as the ruins of the ancient palace that was built on top of it – well worth the hike to the top! Make sure you grab some shots of the famous Lions feet and beware of the monkeys! Check out my full guide to Sigiriya Rock here. As well as offering up some epic beaches Arugam Bay is also the most famous surf spots in Sri Lanka, with some world class waves. For experienced surfers the point breaks here serve up some epic rides, including some barrel sections – or for those wanting to give it a try there are some easier breaks perfect for learning to surf. And even if you dont surf this awesome beach town is well worth a visit to chill out, sunbathe or watch the surfer so their thing. One of the most unique temples I’ve ever visited the Dambulla temple is a UNESCO world heritage site is in fact built in the rock. It’s also the perfect place doe some stunning sunsets, so make sure you have your camera at the ready! There’s also a HUGE golden Buddha statue as part of the more modern temple lower down, but the cave temple section is definitely the highlight. 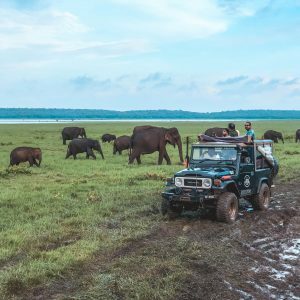 If you love elephants and want to see them in the wild then Kaudulla National Park is somewhere you HAVE to visit, not just in Sri Lanka but across the globe! Just a short drive from our base at Cinnamon Habarana it’s home to heaps of elephants who chill out by the lake during the day and then slowly migrate across the grass plains in the evening. I had no clue what to expect from my visit here and was amazed to find our jeep surrounded by nearly 300 elephants, it was nothing short of incredible. Other national parks like Yala and Udawalawe are also worth a mention but Kaudulla is my pick! For history lovers this Fort town, built in the 1600s is packed full of incredible history and colonial architecture. Including Portuguese, Dutch and British building and overlooking the ocean it’s an amazing place to explore and host lots of stunning markets and events throughout the year. Make sure you check out the Galle Lighthouse and Dutch Reformed Church to get your inner architecture fix! 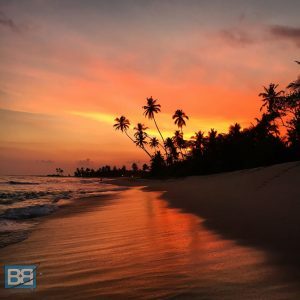 Another awesome beach town and although a little less famous than Arugam Bay on the West Coast, Ahangama it has plenty of surrounding surf breaks for all levels of surfers – from reefs to mellow beach breaks. If you’re looking for a surf camp in Sri Lanka this is one of the best spots to head as it’s one of the closest consistent surf spots to Colombo. High up in the hill country and surrounded by tea plantations Ella is a totally different side to Sri Lanka – lush vegetation and a much cooler climate. The perfect spot to escape to if the heat of the dry season is getting too much! For those who love hiking the 2-3 hour up Ella Rock is well worth the views, it’s also the location of another hike at Little Adams Peak, the much more more mellow version of my next top destination! One of the most famous hikes in Sri Lanka Adams Peak is famous for sunrises. You’ll have to get started at around 2am for the 2-3 hour climb to the top but it’s well worth it for the incredible views and it will no doubt be a highlight of your trip. Be aware though you’ll need a decent level of fitness to undertake it (or really take your time! ), alternatively you can hike Little Adams Peak (in Ella, which is a train journey away) which is heaps easier and only takes 30mins! This was one of my highlights of my first trip to Sri Lanka and I’d love to go back when I venture that way next! This beautiful beach town offers palm tree lined beaches and incredible sunsets perfect for the ‘gram! 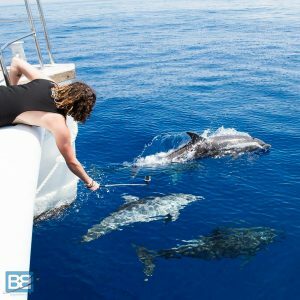 It’s most famous though as being the destination for dolphin and whale watching tours in Sri Lanka and in the right season you can even see Blue Whales off the coast! Kandy has a lot of importance in Buddhist culture and makes it near the top of most lists on the top places to visit in Sri Lanka. Personally I didn’t think the city itself was that amazing, it’s more about the the spectacular scenic train journey to/from Ella you can take to get there – which is rated amongst the top train journeys in the world. What places to visit in Sri Lanka are you most looking forward to? I love the mountains and beautiful landscapes. I never knew that such awesome scenery existed there but now I might have to make it a destination to visit. It’s such a beautiful and varied place to visit…definitely get it on your bucket list Andy! Great post. Sri Lanka is on my bucket list and this post was really helpful! Thanks! Stoked it helped you out Kate – when are you heading that way? Hey! Thank You So much For the good information. i really enjoyed your article. very Helpful bcose i am planing to visit sri lanka in next mounth. Thank you once again.